We are all familiar with body dismorphia, when a person looks in the mirror and sees Peter Porker when in reality they’re Slim Jim. But did you know the same is true about how you view your life. Except the epidemic is rife! Everywhere, people are taking sideways glances at their peers, wondering why they haven’t got as much. Muchness. As much: money, holidays, clothes, friends, opportunities, bodies, homes, families, class, balls, yachts, space programmes (I imagine… somewhere). I know I’ve worried about my muchness in the past and it has stood firmly in the way of my calm. It’s simple. It’s because I expended far more energy into totting up how much muchness I was missing instead of how much muchness I have. And I have… a lot of muchness! So do you. Both of these options are a passtime. As long as were clear on that. 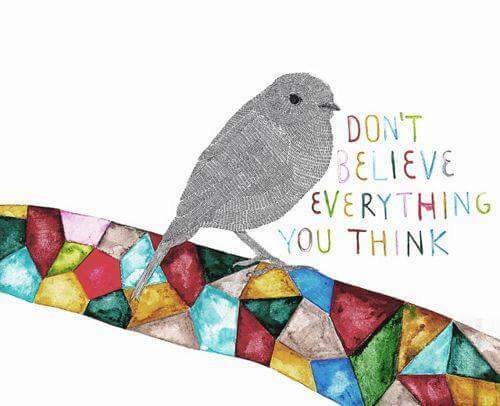 It may feel like your mind is working of its own accord, but it isn’t. You are either passing time counting your unmuchness or passing time counting your muchness. That’s true. And it’s up to you. Also you need to consider others’ muchness in the context of their lives. You may want their new sporter scooter but would you really want their crazy Aunt Flo, the one who crashed their car into the lake?